It's hard to believe this pregnancy is 1/3 complete already! I just received a phone call from OHSU, and the baby tested negative for Down's and Trisomy 18, two of the most common chromosomal disorders. 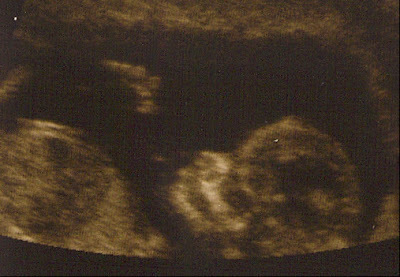 I feel so blessed to have a healthy son, and now what looks to be another healthy baby on the way. The nausea and headaches have all but disappeared. I still feel tired all the time, but I'm going to talk to my midwife about getting more iron into my diet, which might be one of the causes for my fatigue. I've always been low on iron, and since I don't eat hardly any iron in my diet, when I'm pregnant, I am nearly anemic. Today is May 29th, so I'm due 6 months from today on the 29th of November. With the summer months approaching, I'll be in my third trimester before I know it! I've felt a few flutters already, but I'm looking forward to those first kicks in the upcoming weeks.